Do you have a room or area in your home that has many angles, ins and outs, ups and downs? Does it open to several rooms has a large stairway that you can see going up to the second floor, a loft and high ceilings? This sounds like a lot of commotion but it really describes many homes that I’ve been in. 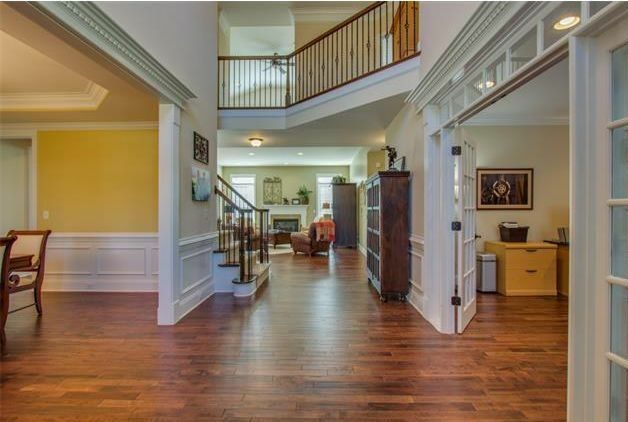 They are open concept homes but sometimes can be visually confusing. How do we minimize all these odd spaces or the nooks and crannies as I like to call them? With color. Sometimes less is more. Here in this room you have gold on the left, green in the back and beige on the right. Should we have different colors in all these room? Yes of course but they really need to flow gently from room to room, especial with these open concept homes. At this point it’s really safe to say that gray, slate blue, soft white and thankfully green are very prominent hues in the home. That’s fine, these are great colors. I am particularly happy that green is now becoming very popular and asked for as the main color in the home. Going back to the nooks and crannies. 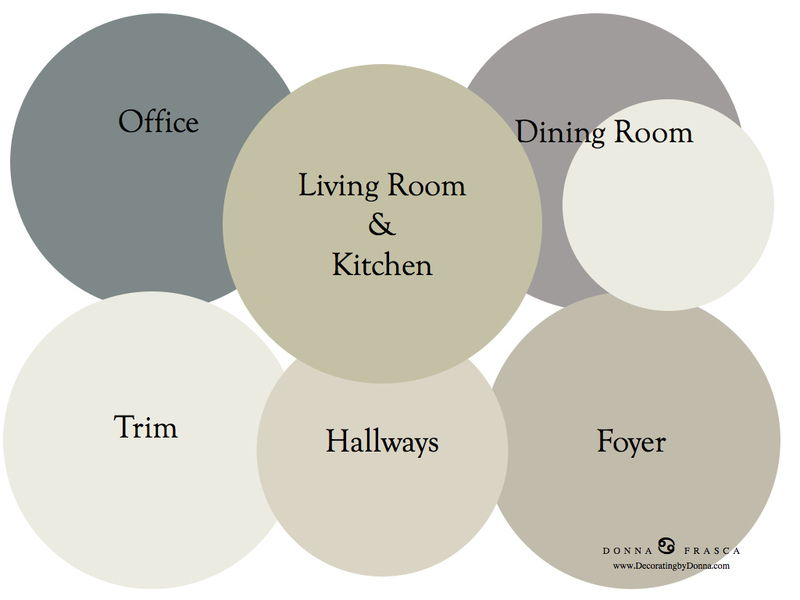 So for the main part of your home, choose colors that relate to each other like I have shown here in the circle graphic. Don’t have any large skips in color such as gold and green – not for this type of home. Keep it flowing and more importantly, soft. No jarring colors. Now when it comes to rooms with crazy angles such as this one – super easy! Just paint it all one color. Forget the white ceiling and just paint your color over ALL the walls including the ceiling. 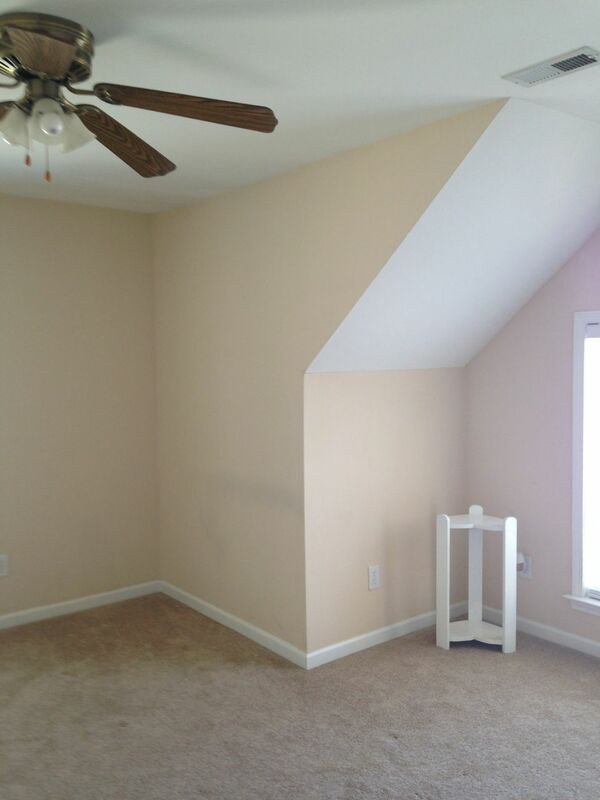 It will make these angles disappear and give the room a cozy, cohesive look. This entry was posted in Color and tagged gray colors scheme, green, open concept spaces, strange angles. Bookmark the permalink. Thank you for your article. We are in the process of opening up our kitchen, dining and living room to make an open concept and let more light in. My dilema is that we have light hardwood in the dining room, a colonial blue tile in the kitchen and burber carpet in the living room. We have natural stain on the window casings and door trim and honey oak cabinets in the kitchen. I would really like to do a warm gray all of the walls to tie it all together. I feel like gray would update it from the beige and tan that it is now. But some grays are very sterile looking or wimpy. What are your suggestions? Gray is touchy when it comes to floors with yellow or pink undertones – I’d have to see pictures of your flooring. Warm grays would be fine next to honey oak so you are limited to that. 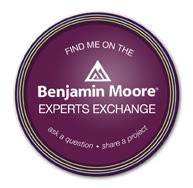 Send me an email at DecoratingbyDonna@mac.com if you want a Virtual Consult.